The Department of Teaching and Learning is seeking to fill one tenure-track faculty position, at the Assistant or Associate Professor level in the area of early childhood education located on the Flagstaff Mountain Campus beginning in August 2019. The position is a 9-month tenure-track faculty line that has the opportunity for summer course teaching. Candidates need to present an active record (Associate rank) or promise of scholarly productivity (Assistant rank), excellence in teaching diverse students, and a commitment to procuring external funding. The individual selected for this position will be located at the NAU mountain campus and will: • Teach undergraduate and graduate courses; • Mentor part-time instructors; • Advise students; • Work in clinical partnerships with a unified program with special education; • Maintain an active program of research; • Fulfill service responsibilities to the department, college, university, and the profession • Prepare and manage external grant proposals/programs • Direct graduate student research and serve on dissertation committees. Minimum Qualifications: For appointment at the rank of Assistant Professor • An earned doctorate (degree completed by August 2019) in early childhood education or closely related field; • Three years elementary school teaching experience (K-3) AND/OR three years preschool teaching experience (birth through age 4). For appointment at the rank of Associate Professor • All of the above, plus current status as associate professor or the equivalent of 6 years of experience as assistant professor. 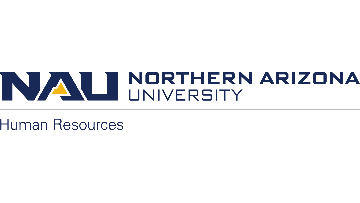 Please see nau.jobs for full job descriptions, preferred qualifications, and details on how to apply online! NAU is an Equal Opportunity/Affirmative Action Institution. Women, minorities, veterans and individuals with disabilities are encouraged to apply.